Continente de Portimão Shopping Centre is one of the most important hubs in Portimão’s daily dynamics. We have witnessed huge urban growth in the surrounding area since the Shopping Centre opened. There are three floors on which you will find 59 shops. Here, you will be offered personalised customer service, as well as a huge range of retailers, including a Continente Hypermarket, MO (clothes shop) and Well’s (health and well-being). Our Shopping Centre has free parking available. We have two car parks accommodating a total of 769 cars. Our Mall Activation concept allows you to achieve great sales results as well as increase communication within the same area: our shopping centre. 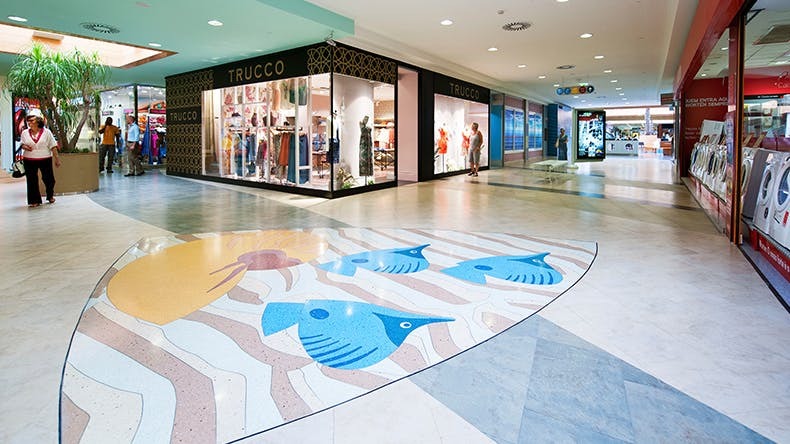 We provide individual stands (letting, shop spots and others), and Flashstores (temporary shops) that enable you to reach out to your customers, and guarantee a unique approach and the best return on your investment. Find out more about your local shopping centre here.